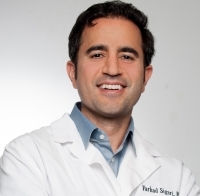 » Watch Next Video by Farhad Sigari, MD, FACS - What are the surgical treatment options for sleep apnea? Now what are the signs and symptoms of sleep apnea? My patients with this problem often complain about morning headache, difficulty concentrating, poor memory function, and falling asleep easily throughout the day. And they often have worried bed partners who complain about loud snoring and that the patient stops breathing while they're asleep.